To ask Charles C. Martin questions, please sign up. 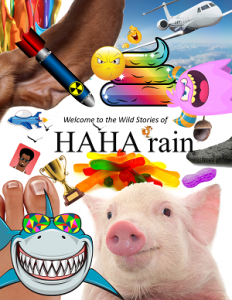 I have been working on this new series of kids books called HAHA rain. 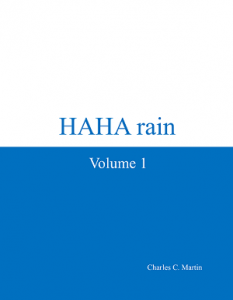 The first volume just went live over the weekend! We’d love your help. Let us know what’s wrong with this preview of Weird in a World That's Not by Jennifer Romolini. We’d love your help. Let us know what’s wrong with this preview of The Art of Living by Thich Nhat Hanh. We’d love your help. Let us know what’s wrong with this preview of City Mouse by Stacey Lender. We’d love your help. Let us know what’s wrong with this preview of Sea Power by Jim Stavridis. We’d love your help. Let us know what’s wrong with this preview of Hotel on the Corner of Bitter and Sweet by Jamie Ford. We’d love your help. Let us know what’s wrong with this preview of MasterChef by Genevieve Taylor.
" Thanks Chaya - my wife told me she wanted to check over it one more time but I was like, na I'm sure it's fine. Lesson learned lol. Thanks for taking Thanks Chaya - my wife told me she wanted to check over it one more time but I was like, na I'm sure it's fine. Lesson learned lol. Thanks for taking the time to jot down the page numbers - really thoughtful! ...more "